Back where we began: members gather at the start of our Town Common walk. Photo Liz Downes. 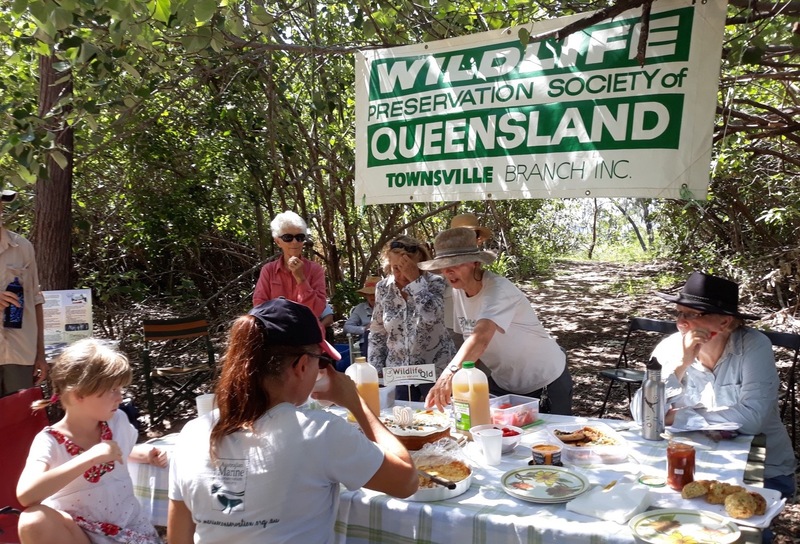 In April 1968 a small group of amateur naturalists, birdwatchers and staff from the newly-established University College met to form the Townsville Branch of what was then known as the Wildlife Preservation Society of Queensland, or WPSQ. 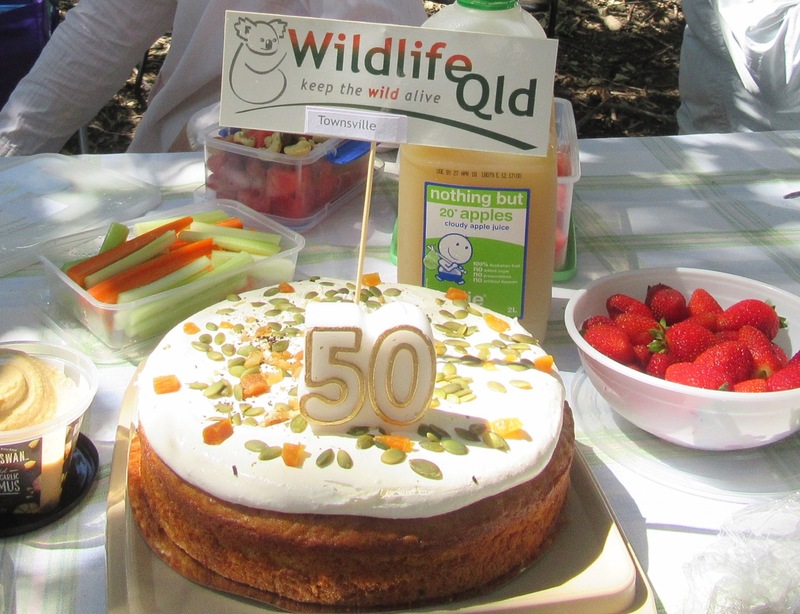 The Society had been founded in Brisbane six years before but, as conservation pressures grew and Queenslanders started to look with new eyes on the land and the wildlife that surrounded them, Branches started to appear in the regions. In 1966 one of the pioneers of conservation activism, John Busst, had founded a Branch in Innisfail, and was among those who encouraged the group in Townsville. Half a century on we could hardly let this anniversary pass without at least a modest celebration and where else would we go than to the Townsville Town Common which had been such a focus of our early years? We had a bright morning for our climb up to the beautiful Tegoora Rock lookout. This track is just the start of a much longer trail that leads to the summit of Mt Marlowe and down to the edge of the wetlands at Bald Rock. A network of such tracks now give access to different parts of this conservation park, so transformed from the neglected pasturage reserve that our members had worked to clean up and protect in the 1960s and ’70s. Once neglected, now the city’s greatest natural resource. Photo Julia Hazel. 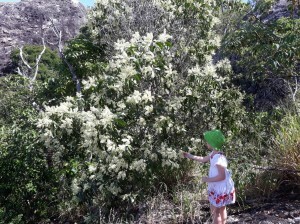 Our youngest walker with flowering wattle. Photo Julia Hazel. 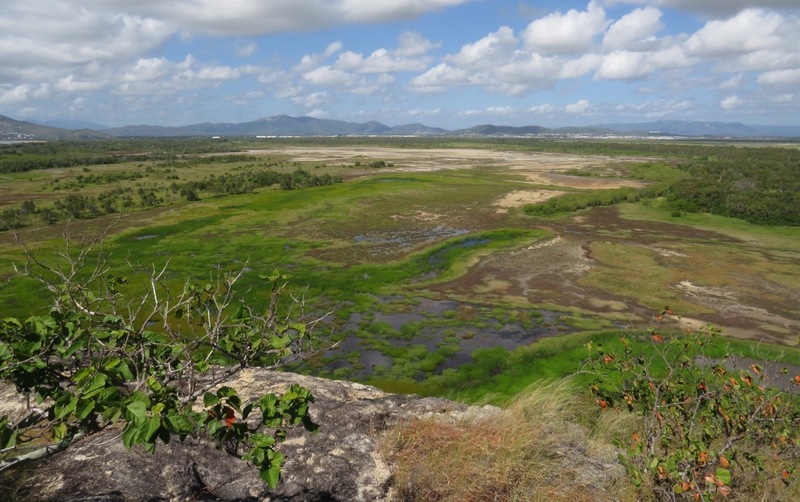 The view from Tegoora takes in a wide sweep of the Common looking green and refreshed after the autumn rains and it was wonderful to see plenty of water in the lagoons where intermediate egrets, magpie geese, a white-faced heron and solitary brolga were feeding. While most of us returned to sea-level by the orthodox route, six adventurers descended via a vertical scramble in search of interesting plants. They found Turraea pubescens (native witch hazel), Melia azedarach (China berry), Aida racemosa (Archer cherry) and Acronychia laevis (Glossy Acronychia), all with fruit in various stage of ripening. (Click on these names for further information from various sources). Even the youngest among us (as well as the less adventurous) could admire the beautiful Acacia flavescens, in full flower at the lookout. 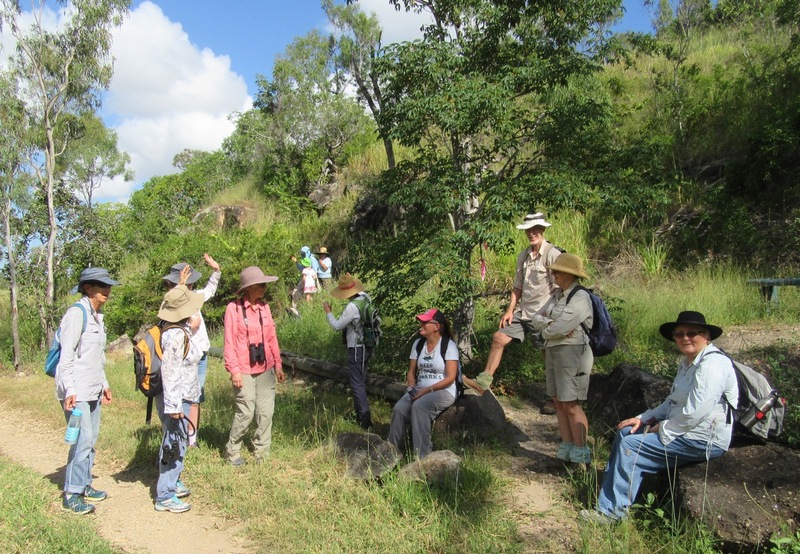 A further diversion took us round the loop of the Wetland Walk (previously the Aboriginal plant trail), before we moved on to the old Quarantine Station section of Cape Pallarenda Conservation Park for our birthday picnic. Happy Birthday to us! Photo Liz Downes. Such occasions usually prompt anecdotes and memories of past times and we did include a small display and a summarised history for those interested in looking back. But one of our new members showed a commendable forward-looking approach in saying she was delighted to be present at the start of the next fifty years! So – who’s baking the cake for 2068? Tucking in to the birthday tucker. Photo Julia Hazel.